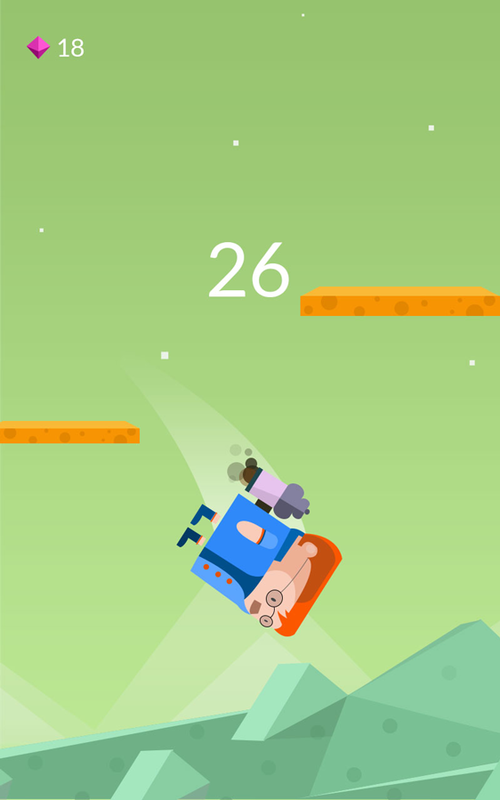 Another addictive game from the Mascoteers team! 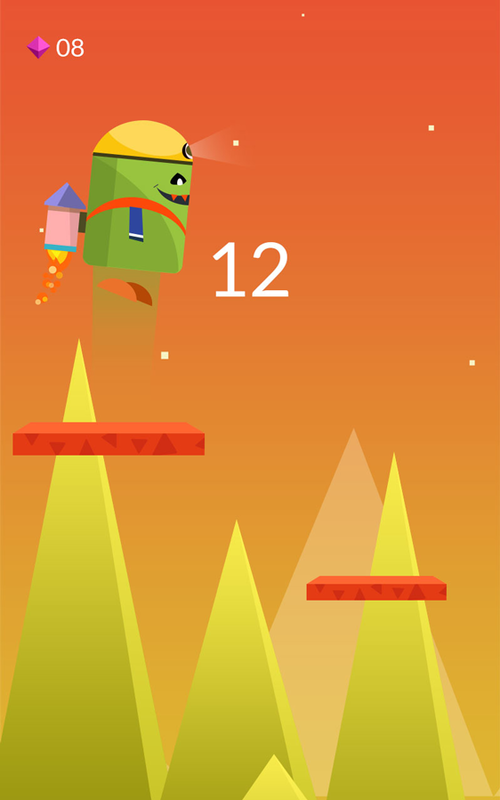 JetFly has the player control a flying character as he jetpacks from platform to platform in all kinds of bizarre and beautiful worlds. Your jetpack can only propel you a short distance, and you need to use enough amount of power to get yourself airborne, but not so much that you lose control and fail to land on the platform ahead of you. 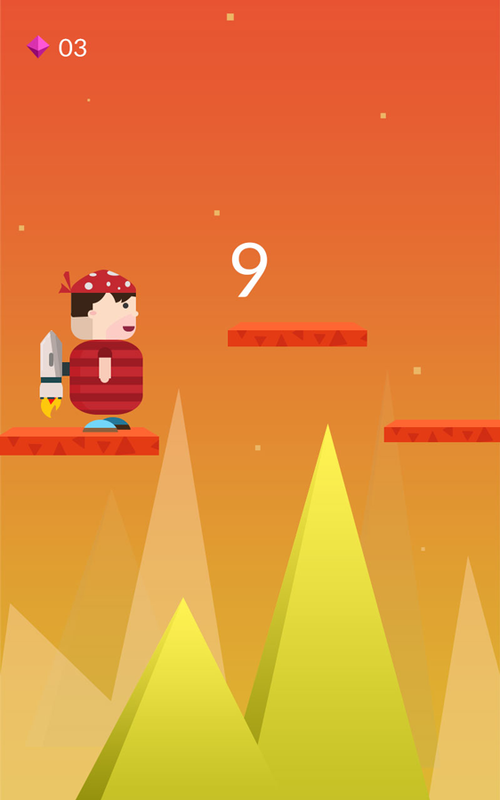 To make it more difficult, the platforms start descending as soon as you land on them! 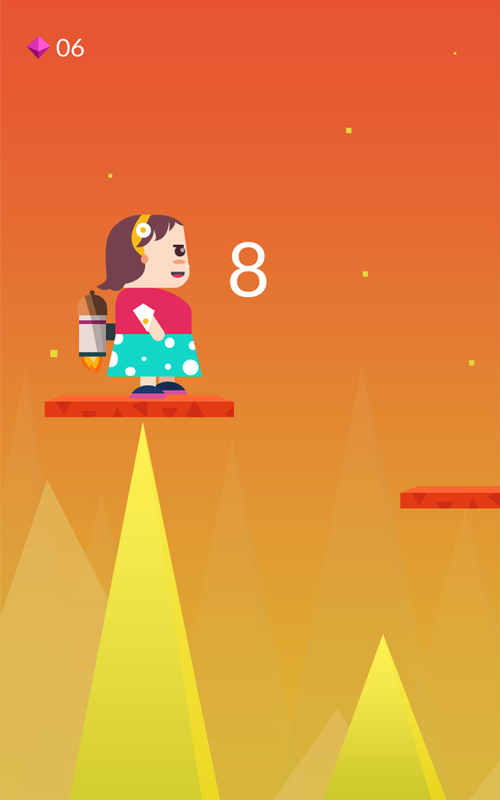 JetFly is an easy-to-learn game that requires good timing and finesse, making it all the more rewarding! 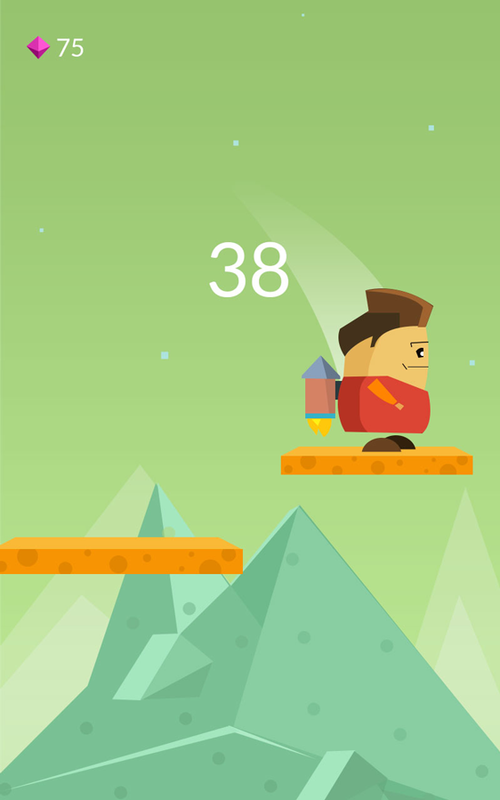 During the development of a previous Mascoteers title, Planet Surfer, the team were playing with the idea of a jetpack bound character that flew through space and dodged various obstacles. The idea for JetFly came from there, though it was thought navigating around obstacles was a little unoriginal. Hopping between platforms with the need for perfect touch allows for steeper and longer learning curve that ensure longevity. Great graphics, backgrounds and sound effects! The Mascoteers allows for the contents of JetFly to be published through video broadcasting services for any commercial or non-commercial purposes. Monetization of videos created containing assets from JetFly is legally and explicitly allowed by The Mascoteers.